I just finished “The Power of Habit” by Charles Duhigg. This was a great book that can pinpoint what habits are determining whether you eat well, exercise, get enough sleep, save money, go to church….. If you’ve got some bad habits you want to change or desire to create new habits that will positively affect your daily life then I think you’ll find this to be a useful book. Be sure to let me know if you like it as much as I did. The beach is beautiful after the storm…. Great ride this morning…. nailed the big whoop-tee-doo that usually scares me spit-less. It’s way more fun to be fit than sedentary! 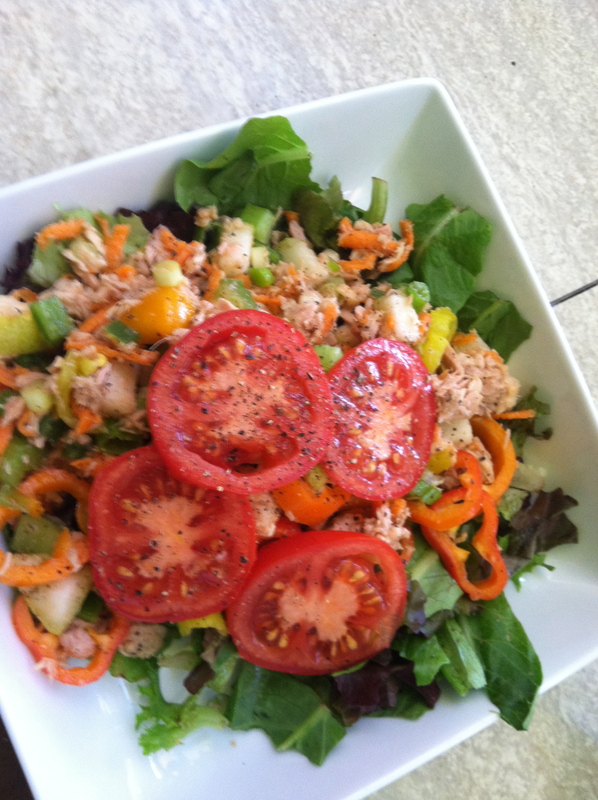 Today’s lunch was a tuna salad made without mayo! Tuna Salad without bread, mayo, or pickles. Totally nutritious and absolutely delicious!